Many victims of domestic violence face a continued threat of being assaulted or killed even after their abuser is arrested. I am deeply thankful that this week the Governor signed into law a bill I sponsored to ensure district judges can keep the most dangerous offenders behind bars. Senate Bill 449 – which was named Tierne’s Law in remembrance of a Washington County woman who was kidnapped and murdered by her estranged husband after his release on bond from domestic violence charges – would ensure more judges can use risk assessment tools to determine whether someone who is accused of domestic violence should be allowed to be released on bond. These tools have proven to be very effective in predicting the odds of a subsequent offense. 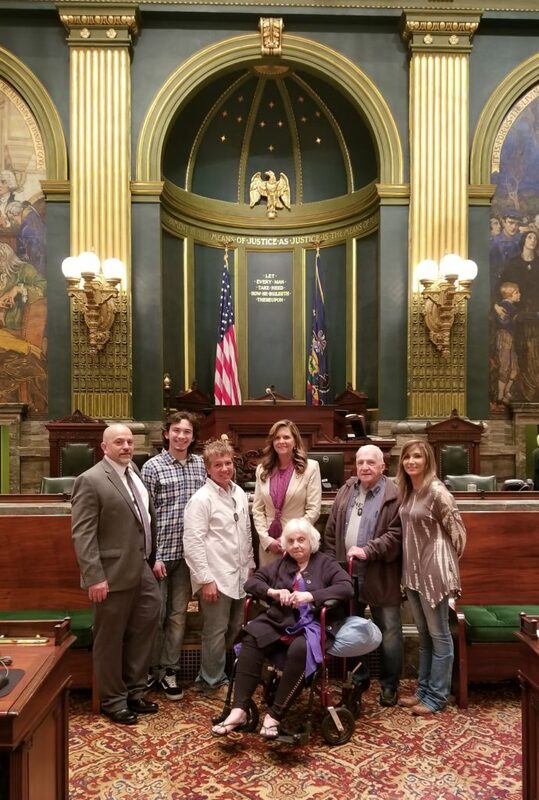 Members of Tierne Ewing’s family made the trip to Harrisburg to attend the bill signing, and I am extremely grateful for their support through the entire process. They have endured a terrible loss, and it is inspiring to see them channel their pain and grief into something positive that will help future victims and their families avoid a similar tragedy. More information about Tierne’s Law is available here. My deepest thanks goes out to Tierne Ewing’s family for all of their advocacy and support as we worked to enact critical legislation protecting domestic violence victims. A special thanks to Washington County Assistant District Attorney Dennis Paluso for also participating in the bill signing ceremony. The Senate took action on legislation this week to create tougher penalties for repeat DUI offenders and help address the growing opioid crisis in Pennsylvania. Senate Bill 961 increases penalties for a person who unintentionally causes the death of another person as a result of a second or subsequent DUI violation. The bill also increases penalties for habitual DUI offenders, including the creation of a felony offense for individuals who have more than three prior DUI offenses. Senate Bill 936 would require the Pennsylvania Department of Labor & Industry to adopt an evidence-based drug formulary for Pennsylvania’s Workers’ Compensation program. The measure would help reduce the over-prescription of opioid painkillers. In addition, lawmakers passed Senate Bill 844, which expands legal standing for grandparents to care for their grandchildren when no biological or adoptive parent has custody of the child. Senate Bill 1078, which allows school districts and local governments to discuss school security matters in executive sessions that are closed to the public. Senate Bill 1090, which provides a comprehensive rewrite of the state’s hazing laws. Senate Bill 742, which would provide a comprehensive bill of rights for sexual assault victims. 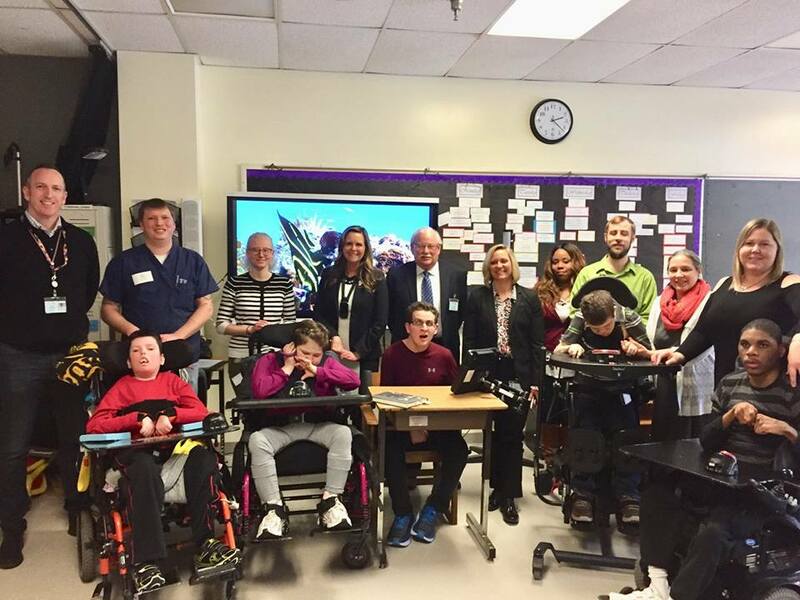 My gratitude goes out to all of the students, teachers and administrators who welcomed me during a tour of the Western Pennsylvania School for Blind Children. Pennsylvania’s State Parks and State Forests are an amazing resource available to all state residents. Volunteers play a critical role in maintaining the health and vibrancy of these natural wonders. The Pennsylvania Parks and Forests Foundation (PPFF) offers a number of opportunities for community residents who are interested in volunteering their time and efforts. More information on volunteer opportunities offered by PPFF is available online at www.paparksandforests.org or by calling 717-236-7644. The state Department of Conservation and Natural Resources also encourages individuals to support State Parks and State Forests through its volunteer program. Additional information is available online at http://www.dcnr.pa.gov/GetInvolved/Pages/default.aspx. 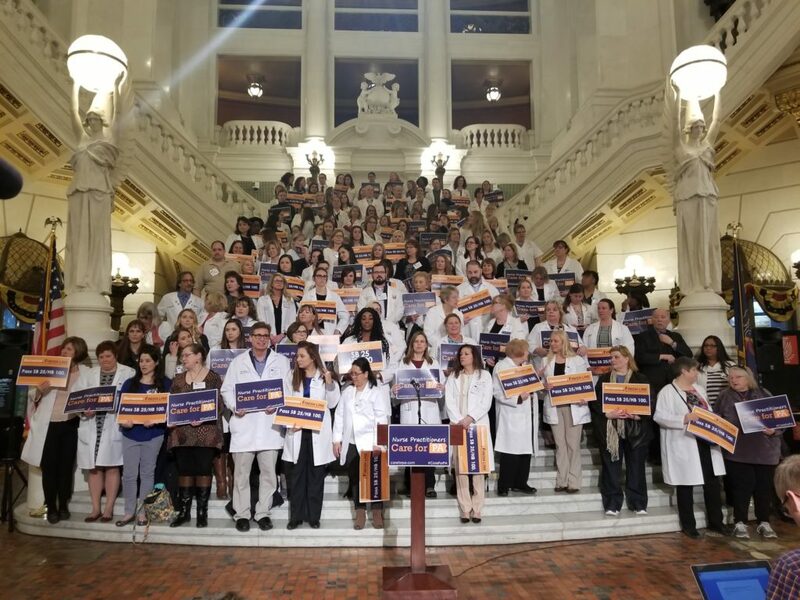 The Pennsylvania Coalition of Nurse Practitioners held a rally in Harrisburg this week in support of my legislation to give nurse practitioners full practice authority in Pennsylvania.